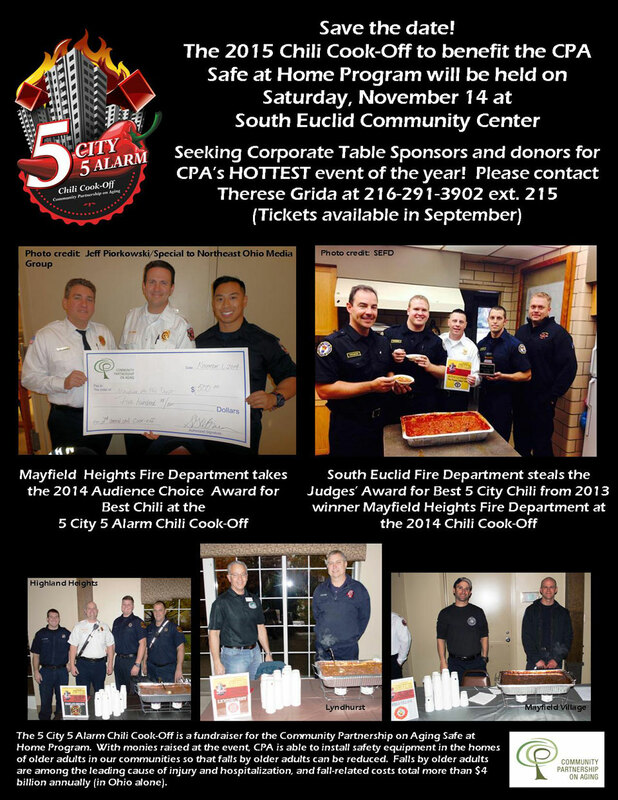 The 2015 Chili Cook-Off is Coming in November – Sponsors and Donors Needed! This year’s Chili Cook-Off plans are underway! 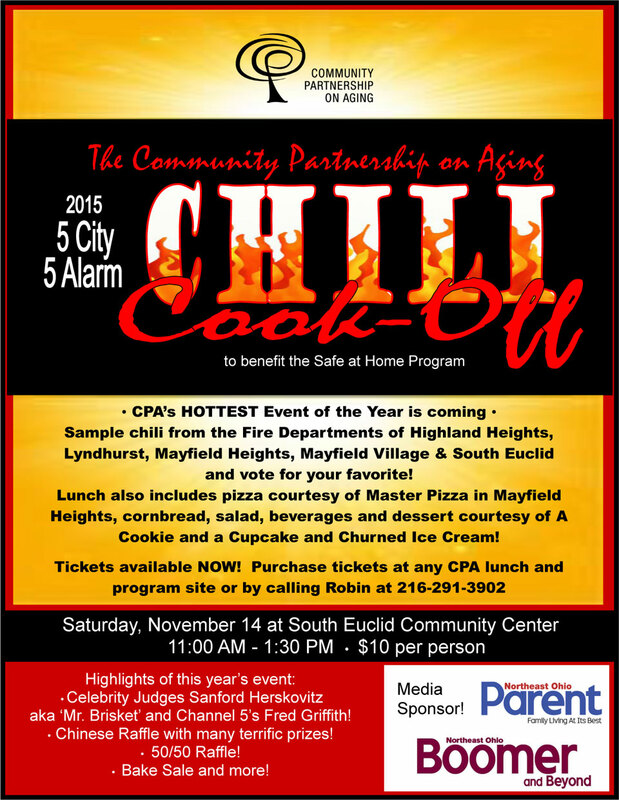 Save the date for this year’s event, which will be held on Saturday, November 14th 2015 at the South Euclid Community Center. Contact Therese Grida at (216) 291-3902 Ext 215 for sponsorship and donation opportunities today! Tickets for this event will be available in September!